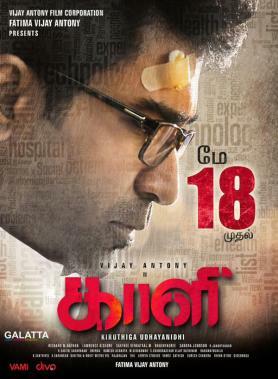 As known already, composer turned actor Vijay Antony’s upcoming film, Kaali, directed by Kiruthiga Udhayanidhi is slated to hit screens on May 18. Kaali had managed to steer itself from facing any competition up until now as acclaimed filmmaker Vijay Milton’s Goli Soda 2 has been announced to arrive on May 18. Produced by Vijay Milton’s Rough Note banner, Goli Soda 2 includes Samuthirakani in a big role along with Gautham Menon set to be seen in a special cameo after his voice-over in the film’s trailer went on to reap laurels. Featuring music by Achu Rajamani, Goli Soda 2 has Subiksha, Krisha, Rakshita, Rohini, Rekha, Saravana Subbiah, Chemban Jose, and Shiva among others as part of the ensemble cast.